What started as a small team of specialists formed to drive breakthroughs in logistics management has grown into the premier services provider dedicated to improving the management of government. Incorporated as the Logistics Management Institute in October 1961, LMI has grown from humble beginnings. We started in a Pentagon office with fewer than a dozen staff members to address supply and logistics challenges for the Department of Defense. Today, our 1,400 employees bring deep expertise in advanced analytics, digital services, logistics, and management advisory services to all types of government stakeholders, including federal civilian agencies and military commands. As a private, not-for-profit organization since our inception, LMI is a trusted government adviser, free of commercial or political bias. We’re ready to help clients overcome their most complex challenges. In September 1961, Secretary of Defense Robert S. McNamara sent a memorandum to President John F. Kennedy, advising “that we can achieve major breakthroughs in logistics management, where we spend half of the defense budget, by sponsoring the establishment of a special, full-time organization of highly talented business management specialists.” President Kennedy agreed, and three weeks later—October 3, 1961—LMI was born. The first group of LMI board members included such luminaries as Charles H. Kellstadt, former chairman of Sears, Roebuck and Company; writer and management consultant Peter Drucker; Professor Carlton Pederson of Stanford University; Dean Stanley F. Teele of Harvard University; and Professor J. Sterling Livingston of Harvard Business School. In 1985, after nearly a quarter century as a not-for-profit, the Deputy Secretary of Defense designated LMI as a federally funded research and development center (FFRDC). As an FFRDC, LMI was precluded from competing with profit-seeking firms to obtain work. By 1998, LMI had grown substantially and faced compromising limitations as an FFRDC, and there was increased demand for LMI’s services across civil and defense agencies. The board of directors voted to end LMI’s status as an FFRDC and return the company to its not-for-profit roots. This change allowed LMI to maintain the ethics and cultural practices it developed as an FFRDC but freed it to pursue government consulting work without restriction. 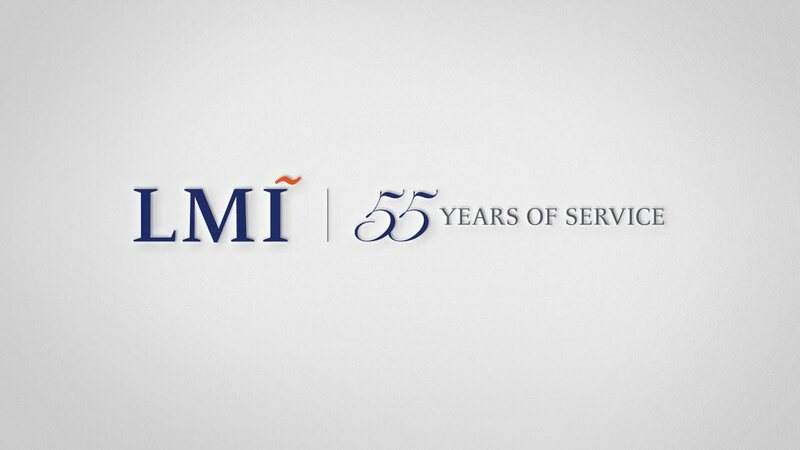 In 2016, LMI celebrated 55 years of commitment and service by highlighting the remarkable impact the company and its employees have had on our nation and local communities. These important stories are tangible examples of the heart and soul of LMI—our people. Their passion and commitment to service has been the foundation of our success, and the greatest asset for our future. Today, LMI remains governed by an esteemed board of directors and operates with complete integrity, free of commercial bias and political interest. We continue to act as a trusted advisor to government leaders and to bring the best, most creative management and technical minds to bear on solving the most complex issues of today and the future. We still operate the world’s most advanced logistics consulting group but have expanded our scope. We now offer world-class expertise to the defense, national security, and health markets in advanced analytics, digital services, management advisory services, and logistics.